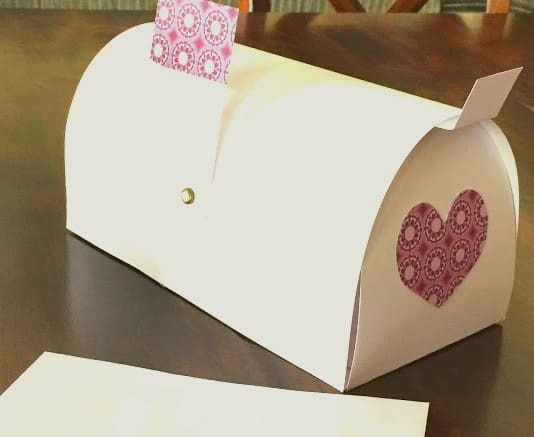 If Valentine’s Day is almost upon you and you need to come up with a Valentine’s Day card holder for your child’s Valentine’s Day party in a hurry, you will love these quick, easy Valentine’s day card holder ideas. All of these card holders are super easy to make and you can have them done in less than an hour! 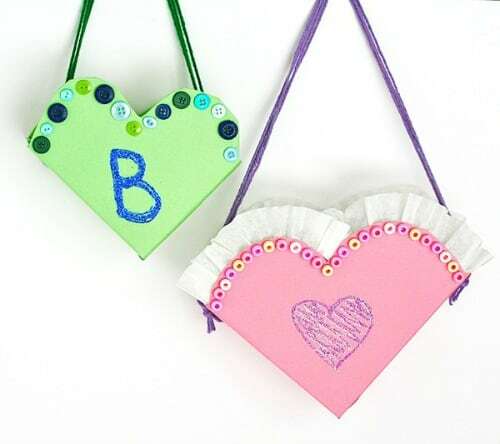 These cute heart-shaped card holders are made from cereal boxes. You can easily decorate them for a boy or a girl and add a hanger so that they can be hung from the back of a child’s chair. You can find the project instructions at Crafts by Amanda. 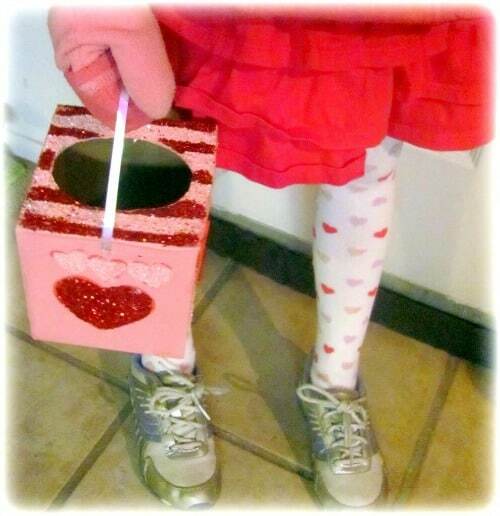 I made this easy Valentine’s Day card holder from a file folder. 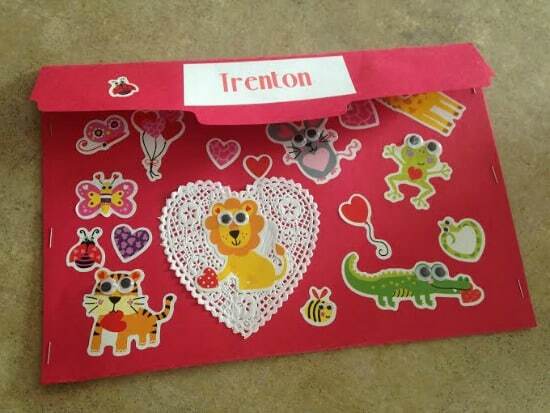 It was quick and easy when I needed it for my son for a homeschool Valentine’s Day party. You can find the project instructions on this site Creative Homemaking. Photo courtesy of Creative Homemaking. 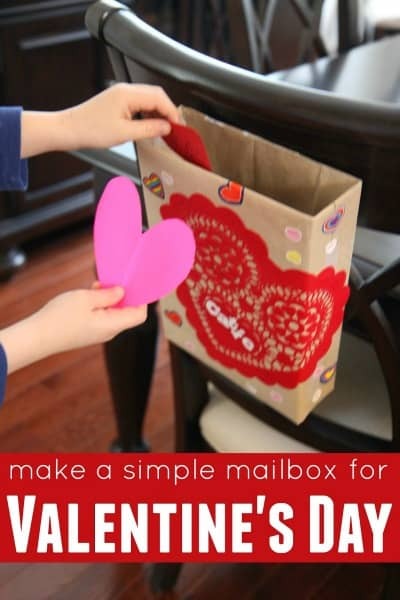 I love this idea for an easy Valentine’s Day mailbox. This would be great if you need a box to set on a table or desk. These are really cute and look easy to make. They would be really fun to decorate! You can find the project instructions on this site Life’s Journey to Perfection. Photo courtesy of Life’s Journey to Perfection. 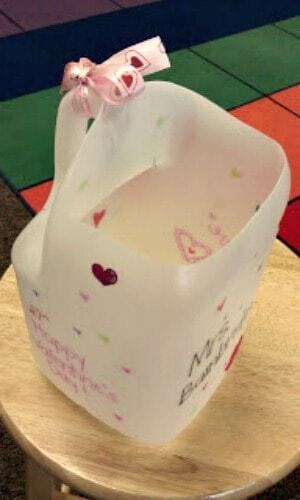 This milk jug also makes a quick easy Valentine’s Day card holder. All you have to do is cut a large opening in the top of the container, and decorate! You can find the project instructions on this site Bunting, Books, and Bright Ideas. Photo courtesy of Bunting, Books, and Bright Ideas. I don’t have a photo for this project, but you can find one on the following web site. 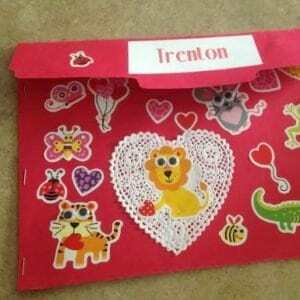 It’s a really cute way to make a Valentine’s Day card holder from a paper sack. You can find the project instructions on this site Jockey of Banshee. Here is another card holder made from a cereal box. This is a fairly good sized box if you are expecting lots of Valentine’s! It’s also set up to hang on the back of a child’s chair. You can find the project instructions on this site Red Ted Art. Photo courtesy of Red Ted Art. I thought this box was really cute and different than the others. It is made from a tissue box. It would be really quick and easy to decorate. This one could be set on a desk or a handle can be added for hanging. You can find the project instructions on this site Once Upon a Craft. Photo courtesy of Once Upon a Craft. Besides the card holder made from a file folder, this card holder made from a large manila envelope is likely the easiest card holder to make. It just needs to be decorated, and you can add a hanger to it to hang it from a child’s chair. You can find the project instructions on this site Classroom DIY. 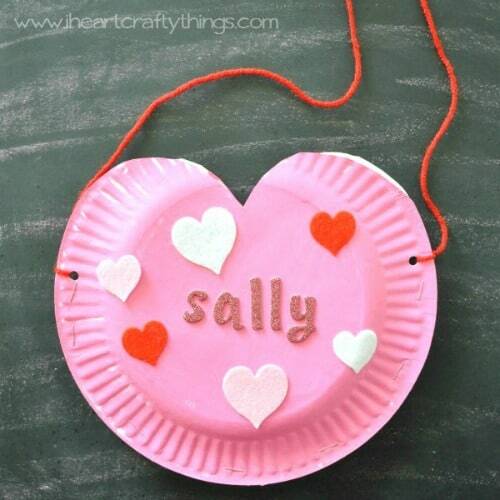 This Valentine’s Day card holder is made from two paper plates cut into the shape of a heart and then stapled together. Super easy to make and really cute too! You can find the project instructions on this site I Heart Crafty Things. Photo courtesy of I Heart Crafty Things. This is one of my favorite card holder ideas. These card holders are made from empty oatmeal containers. All you have to do is wrap the containers with paper and decorate. Very cute! You can find the project instructions on this site Pre-K Pages. Photo courtesy of Pre-K Pages. This last card holder is also very easy to make. It is made from an inexpensive paper lunch sack, then decorated to look like an owl. Cute! 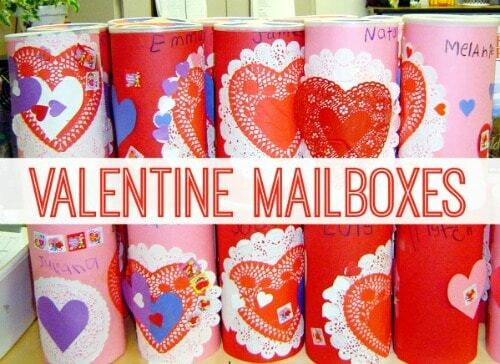 I hope these projects inspire you to find some easy Valentine’s Day card holders for this year!